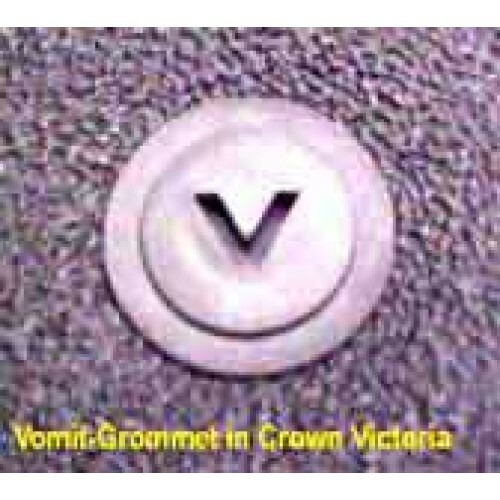 #100160 Vomit Grommet is a device designed to drain washed off fluids from passenger floor areas. 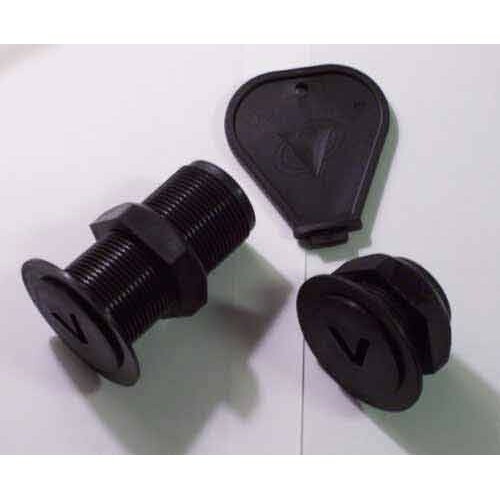 This is designed in such a way that your fingers need not get into contact with the solids and fluids to open the drain device. 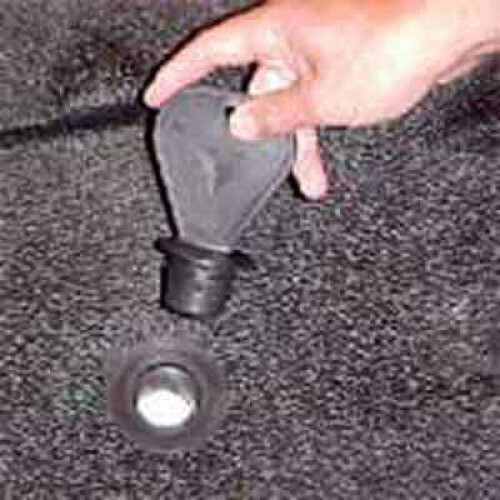 A large plastic easily operated "butterfly" handle allows the door to be opened safely even if it is UNDER the fluids. 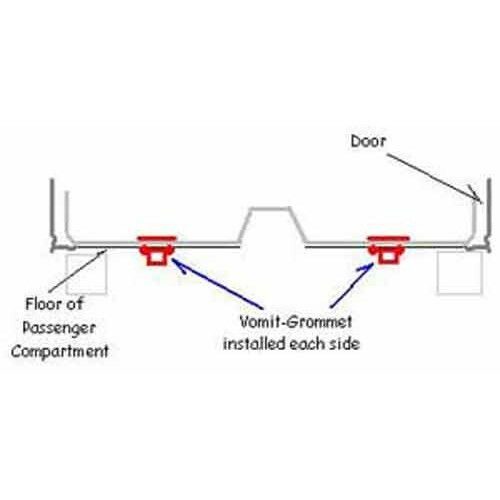 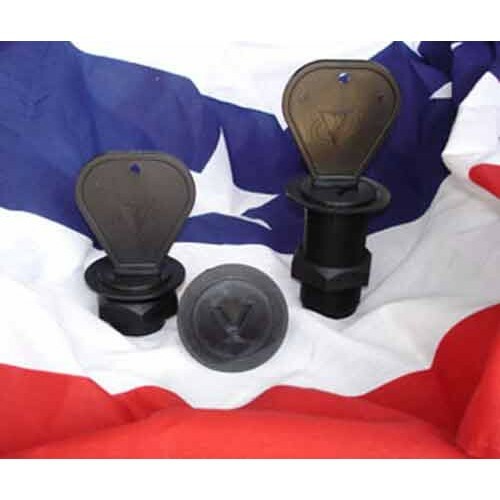 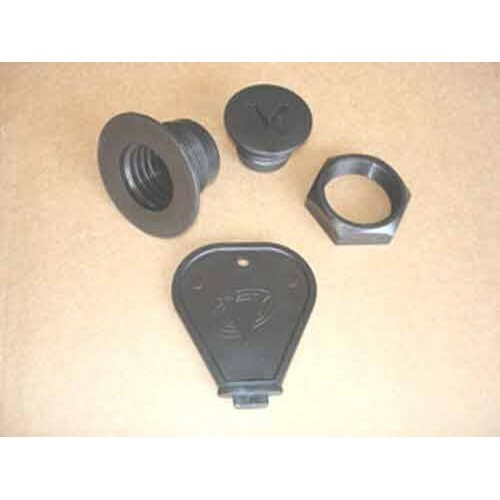 The Vomit Grommet comes in two lengths to accommodate any floor and carpet combination. 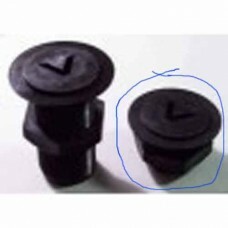 The original size is 1-1/2 inches long, the larger type is 3-1/2" in length. 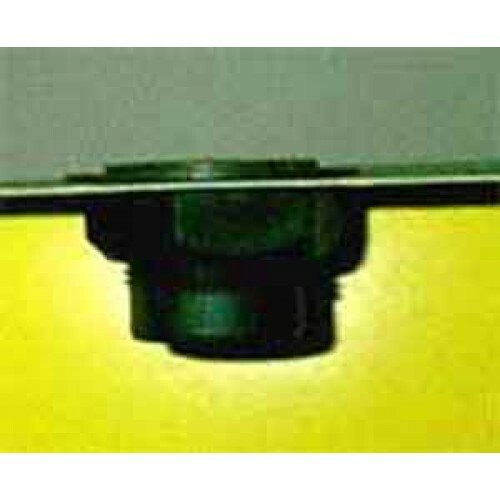 The wide top plate allows you to use a hole drilled 1-3/4 to 2 inches. 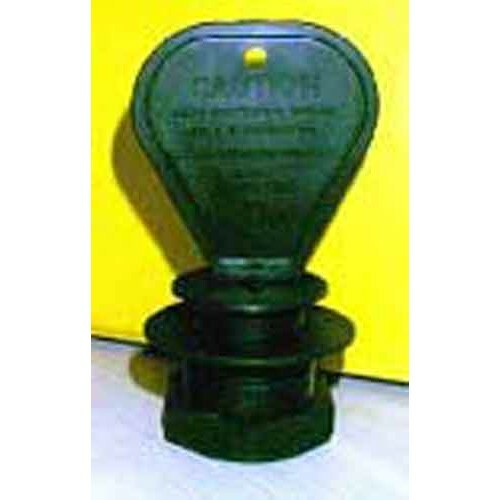 The seal is excellent so no adverse effects are experienced. 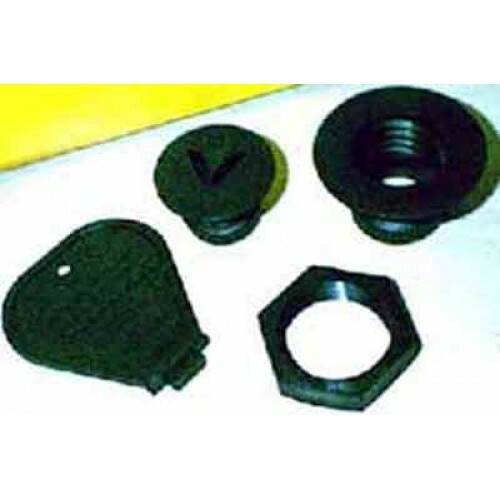 If you use a protective floor mat, this drain device can be securely installed THROUGH the mat, allowing you to continue using your preferred method of floor protection. 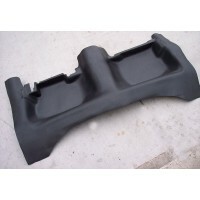 This is used by Police and Government vehicles, as well as Limousines, Taxi Cabs and Black Cars.